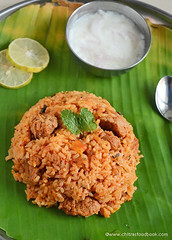 Gajar halwa / Carrot halwa using Delhi carrot was in my try list for long time. Recently I bought some fresh Delhi carrots in Reliance. 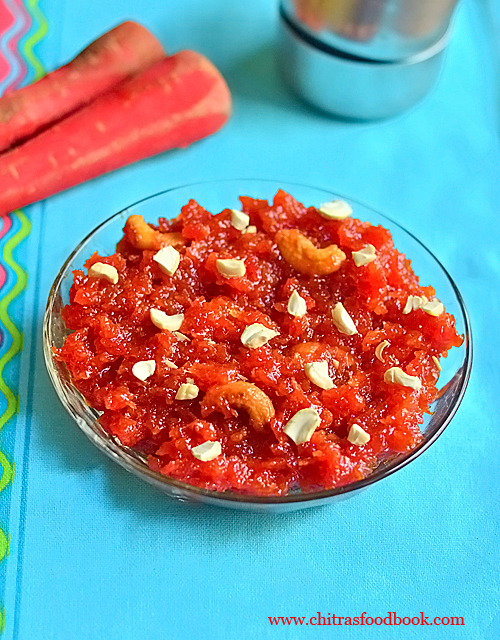 I thought of trying carrot halwa and red carrot pickle with it. To begin with, I tried this easy carrot halwa recipe without khoya and condensed milk in pressure cooker for a surprise guest at home yesterday. I finished the preparation quickly under 20 minutes. It came out really well with a bright red color. We loved it very much. I served the same for Valentine’s day treat as well. 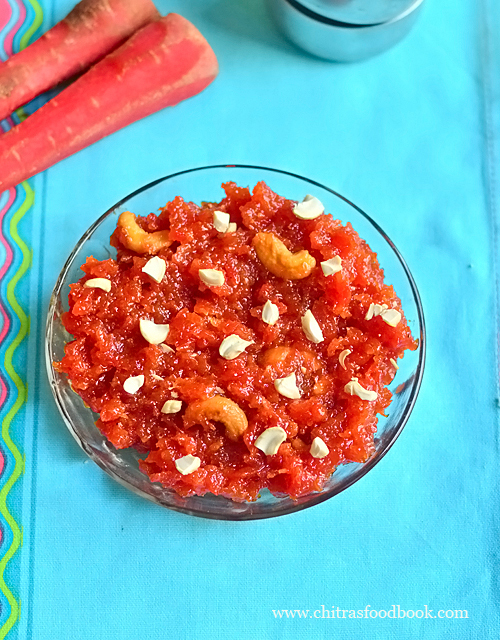 Friends, do try this yummy carrot halwa using Delhi carrot easily in a pressure cooker. Don’t forget to share your feedback with me. For variations, you can use Ooty carrot instead of Delhi carrot. 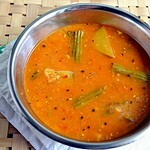 Cook the grated carrot in an open kadai, add condensed milk instead of sugar, milk and try it. 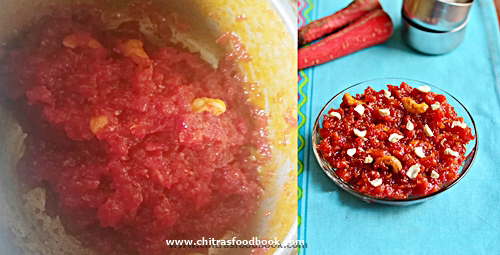 Do check out my beetroot halwa recipe in a pressure cooker. 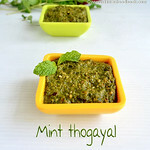 Check out my other 18 halwa varieties too ! Carrot halwa with Delhi carrot made eaaily in a pressure cooker. Wash and peel the outer skin of Delhi carrot. Grate it using a big holed grater. Measure 2 cups from it. In a pressure cooker base, heat 1 tbsp ghee. Saute carrot for 5 minutes to leave the raw smell. Add milk and a pinch of salt. Pressure cook in high flame for 2 to 3 whistles. Open the cooker after the steam is released. Add sugar, cardamom powder and a tsp of ghee. Mix well in medium flame till halwa starts to leave the sides of cooker. Lastly add ghee roasted cashews along with the remaining ghee. Mix well and serve warm with ice cream ! Wash and peel the outer skin of Delhi carrot. Grate it using a big holed grater. Measure 2 cups from it and set aside. Heat 1 tbsp ghee in a pressure cooker. Saute the grated carrot in medium to high flame till its raw smell leaves completely. It takes 5 to 7 minutes. Carrot changes to pale red in color. Add boiled milk( at room temperature) and a pinch of salt. Mix well. Cover the lid. Put the weight valve. Keep the flame high and pressure cook for 2 to 3 whistles. Open the cooker after steam is released. 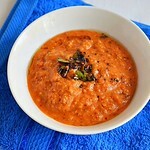 Carrot becomes soft after cooking and some milk will be leftover in the bottom of cooker. Add sugar, cardamom powder and a tsp of ghee to avoid halwa sticking to the bottom of cooker. Mix well. Carrot mixture liquifies after adding sugar. Mix in medium to high flame till the mixture becomes thick and starts to leave the sides of cooker. Do not over cook the carrot, sugar mixture to prevent halwa becoming hard and chewy. Switch off the flame at the right time with some wetness in it. 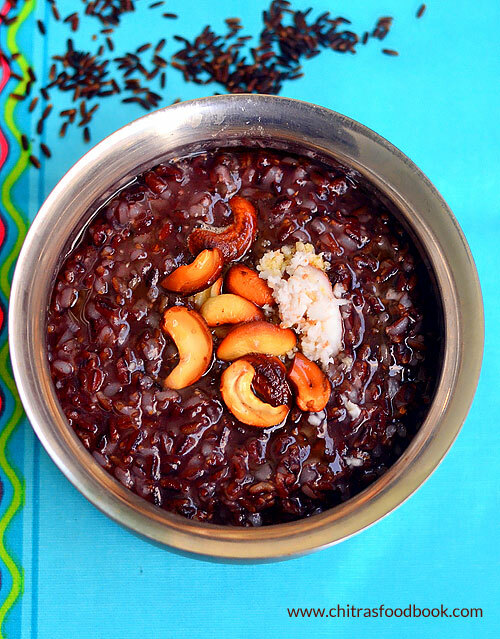 When it cools down, halwa comes to perfect consistency. Roast cashews in the remaining ghee. Add to the halwa. Mix well and serve it warm with a scoop of vanilla ice cream. Enjoy ! You can replace sugar and milk with condensed milk. In that case, cook carrot adding little water. Do not over mix the carrot after adding sugar. Halwa may become chewy and hard after cooling down. 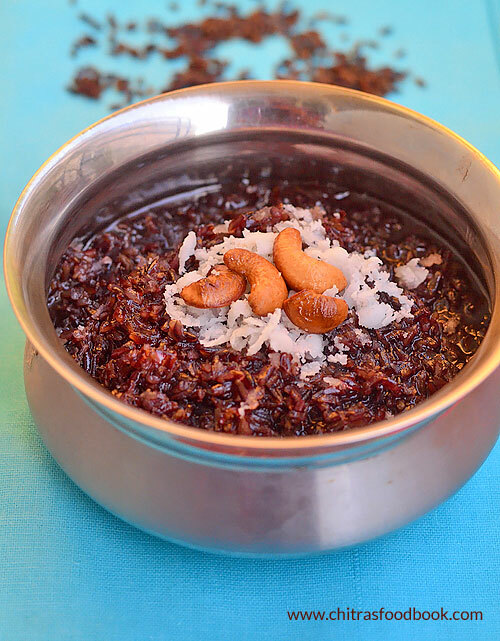 Try this easy, yummy Carrot halwa in a pressure cooker and enjoy ! I served halwa and dry fruits mixture for my guest. Technorati Tags: carrot halwa,carrot halwa in a pressure cooker,gajar halwa,gajar halwa in pressure cooker,Delhi carrot halwa,carrot halwa with delhi carrots. 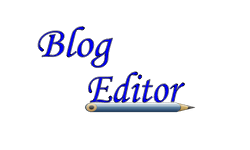 My regular readers are well known of my Thursday Guru pooja and Friday Lakshmi pooja. 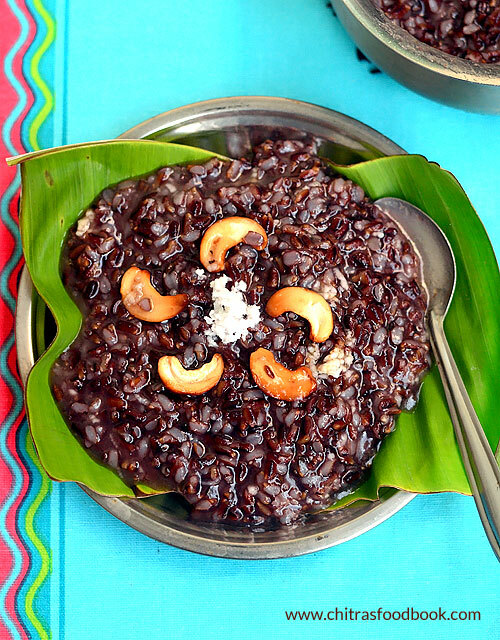 For pooja neivedyam/prasad, I keep trying varieties of sweets. It may be traditional or unusual sweets, I am trying it every week. 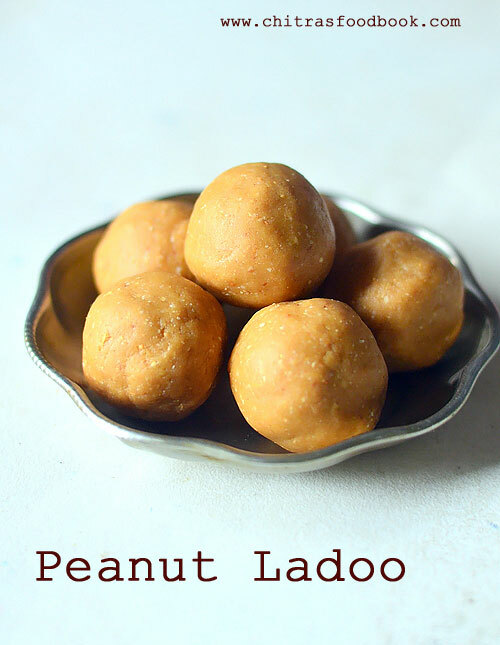 Last week I tried South Indian style easy peanut ladoo for my Thursday pooja. 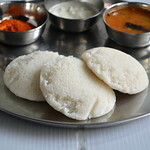 So this week I thought of trying some North Indian sweets. 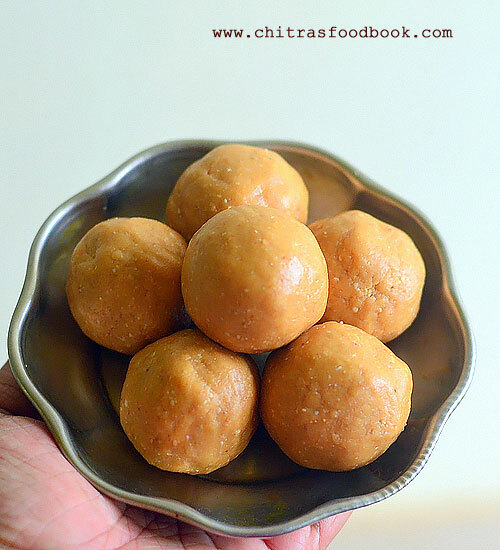 I prepared this easy, yummy mawa ladoo / khoya laddu in microwave following Nisha Madhulika’s recipe. Though its my first attempt, it came out really well. Its so easy and quick to make. Fuss free recipe ! 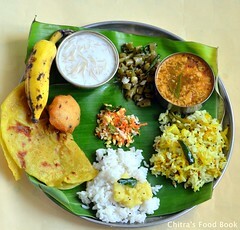 Usually North Indians make Sooji khoya laddu, besan khoya ladoo, khoya coconut laddu and khoya dry fruits laddu. 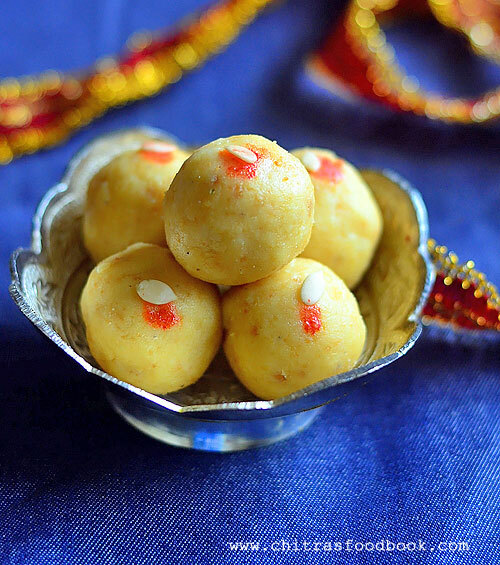 Apart from these laddu varieties, many of you would have tried khoya burfi or gulab jamun with khoya. 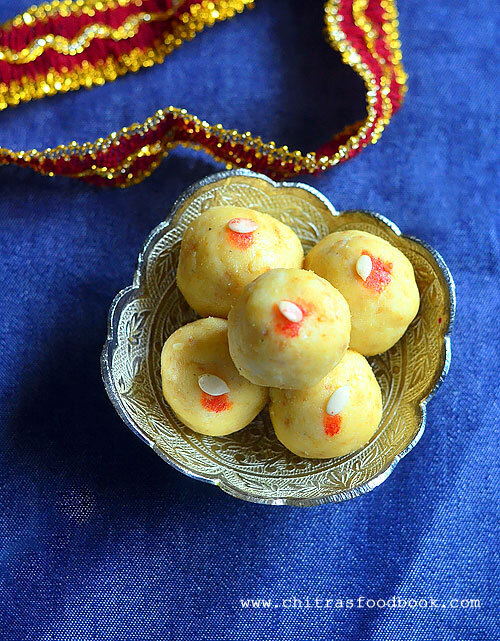 Do try this khoya ladoo for a change. I am sure you will love it. Its tastes is similar to doodh peda. 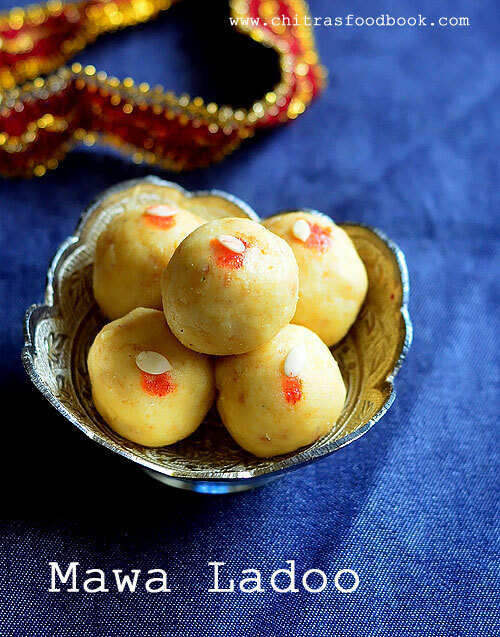 Ok, lets see how to make mawa ladoo recipe with step by step pictures. 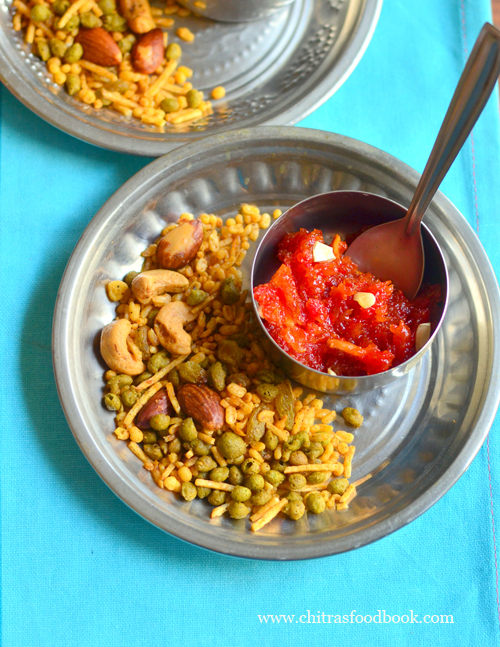 In a microwave bowl, take the khoya/ mawa. Crumble it slightly. Microwave in high power for 1 minute. Remove the bowl and stir it well. Microwave again for one minute. Remove, stir well and let it cool down. Add powdered sugar and cardamom powder. 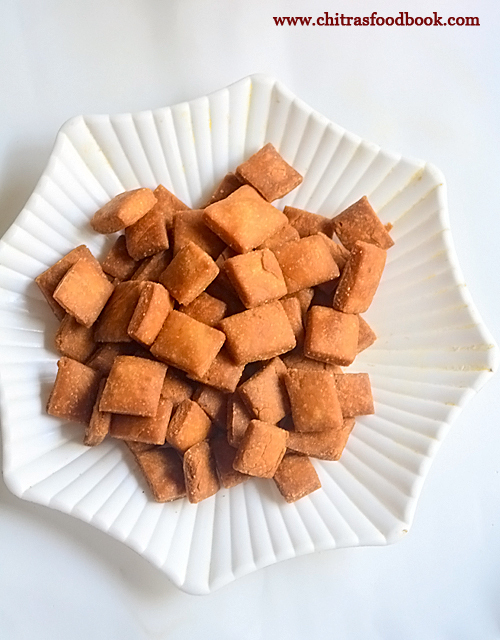 Shape into ladoo. Finish it within a day or two ! Take the mawa/ khoya and measure 1/2 cup from it. Keep it in a microwave safe bowl. Crumble slightly. 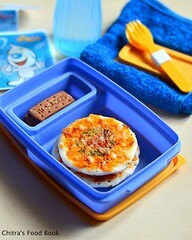 Cover the bowl with a microwave safe plate. Microwave in high power ( 800w) for one minute. 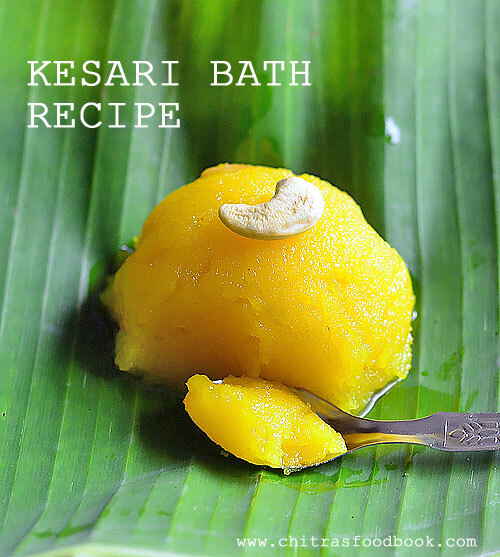 Remove the bowl and stir the khoya with a spoon. Again cover it and microwave for one more minute in high power. Remove the bowl and mix well. 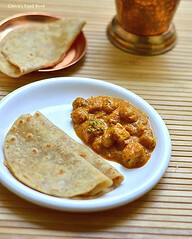 Khoya may be golden brown in color slightly. Do not panic. But make sure its not burnt. 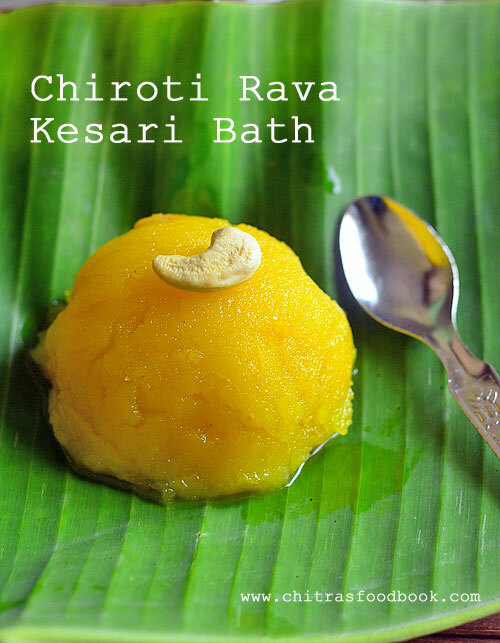 Transfer the khoya to a plate immediately and let it cool down completely. In the mean time, take the sugar and 2 cardamom seeds in a mixie jar. Grind to smooth powder. Set aside. 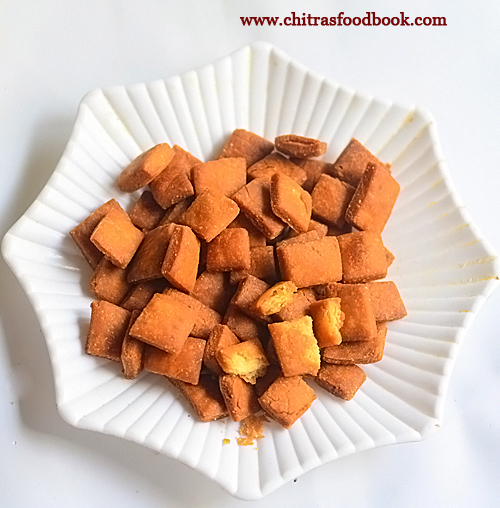 Take the khoya and crumble it finely with your fingers. Add the powdered sugar to it and mix well. Check for taste and add more sugar if needed. If using roasted cashews, add at this stage. I din't use it. 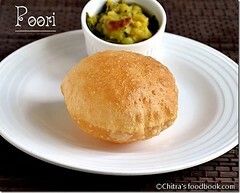 Take a portion of the khoya, roll tightly and make ladoo. 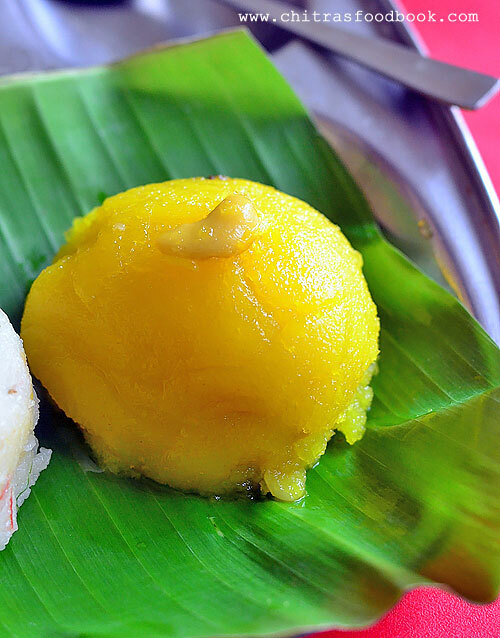 Shape the laddu and serve immediately. Store in a box and enjoy for one or two days. This ladoo stays good for 2 days. It tastes more like doodh peda. I decorated the ladoo by keeping a color dot and melon seed on top. Make sure not to burn the khoya while you microwave. If the power of microwave is more ( 900W or more) reduce the cooking time to 1 minute 30 seconds. 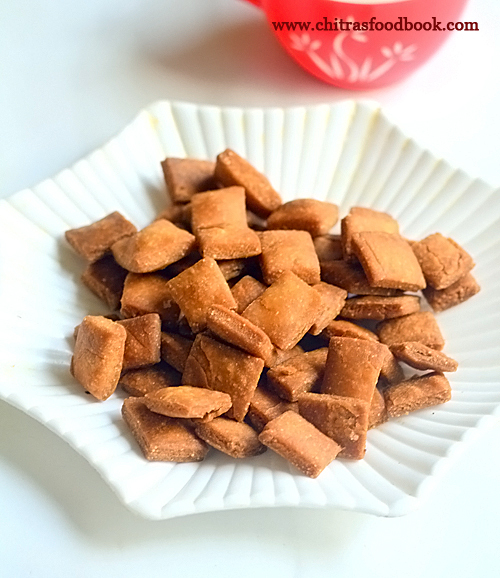 Over cooking makes the khoya hard and chewy. Adjust the quantity of powdered sugar based on your taste. I feel 2:1 ratio of khoya and sugar is sufficient. 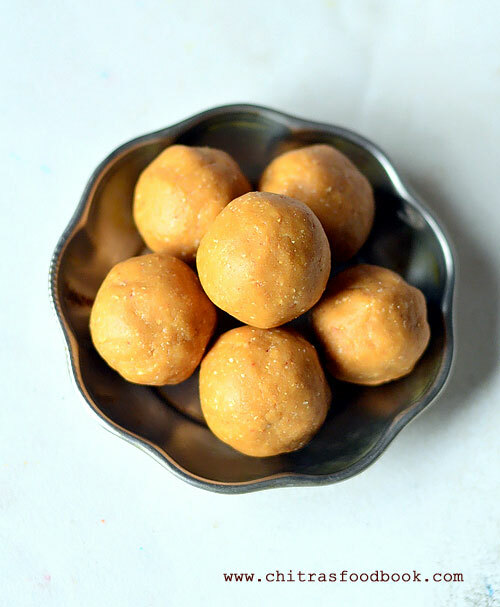 Do try this easy, yummy khoya ladoo and share your feedback with me ! !